Excellent initiative from the ever so innovative Prince Charles cinema in London. After a serie of double bills featuring some classics "bad" movies such as Trolls 2, they have finally unleashed their love for "bad" cinema in full blow to an adoring audience. 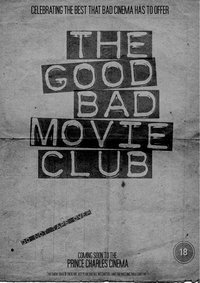 Rather than showing all their repertoire of bad movies in one long week end (which might have tested the brain cells of their most ardent fans), they have launched the Good Bad Movie club, making this a season of bad films, where cult films are going to be shown as a monthly event. And what a fine collection this will be: Killer Klowns from Outer Space (I don't need to say more, the title pretty much sums up the film!) on 4th of June, The Garbage Pail Kids movie (kids made out of green mud, born out of a garbage can... and this is supposed to be a kid film?) 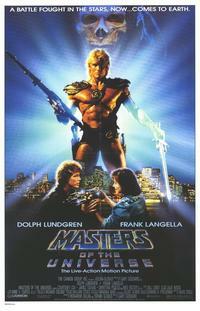 on 2nd of July, Mac & Me (Mac Donald's financed ET rip-off) on 6th of August, and, keeping the best for last, Masters of the universe (needs no introduction!) on 10th of September. Notice how all these films have one thing in common (aside from their sheer awfulness), they were all made in the 80's, the decade of dodgy electro soundtrack, neon lights and big hairdos, all in abundance in this fine collection of cult classics. I have added the trailer for the Garbage Pail Kids movie. I had to add it to my Lovefilm list so review on to follow soon hopefully, even though the trailer makes me feel a little dirty inside. 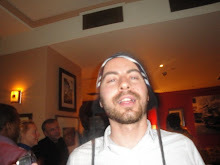 For those of you who do not live in London, the Prince Charles is an independent cinema right in the heart of London, that started off as a great place to catch up with films after their initial release on the cheap and to attend the ever popular Rocky Horror Picture Show midnight screening. Over the last few years however it had turned into something bigger, thanks to its inspired double bills of cult classics and its adoring fans, and they always manage to make their special screenings not to be missed events. It is a vibrant, passionate and fun place for all cinema lovers, and if you ever visit London, definitely worth attending.